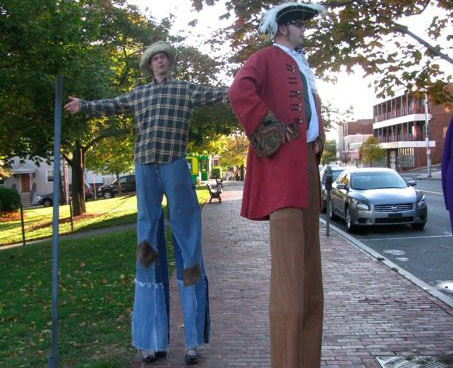 Stilt walkers have an instant “WOW” factor and are great for photo opportunities!Larry has a variety of stilt costumes to make any event more festive. 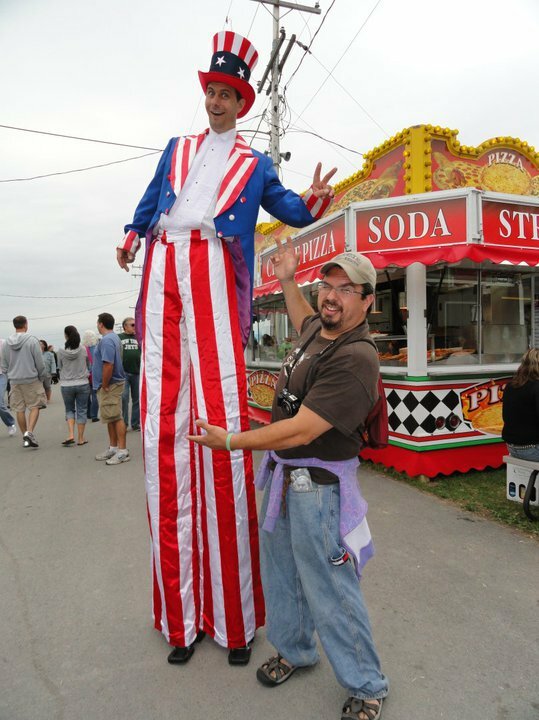 Uncle Sam for Independence Day, Scarecrow for Fall or Halloween, Jester for “Carnivale” or renaissance theme,Cowboy for that western Flair, or just fun and eye catching costumes for any event! 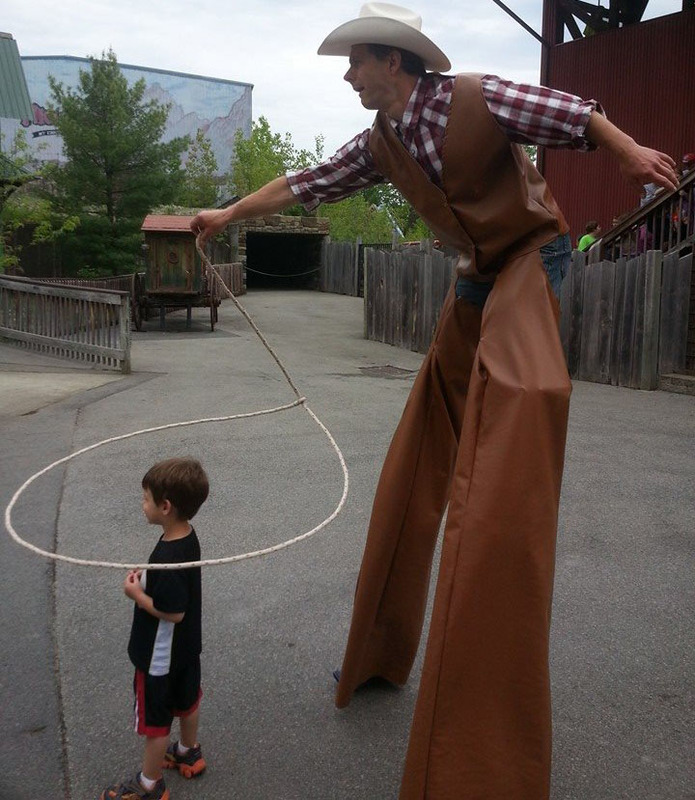 Random acts of unicycling, Interactive unicycling in character or a tall unicycle for your parade! Balls, clubs, illuminated juggling, knives, fire are all available as background or interactive strolling entertainment!